According to Toole, et al, were it not for Forester, we would now have bike lanes everywhere. And not just bike lanes, the entire US would look something like Utrecht, Copenhagen, or Amsterdam. 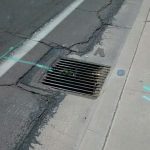 Sawcut in asphalt creates maintenance problems; especially within a bike lane. 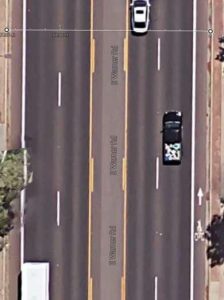 In this example, the cut was created when City of Tempe upgraded curbs for ADA purposes (Spring 2018, Warner Road and Dorsey. Cutting into a road surface creates maintenance problems. Since the city is ultimately responsible for it, there are a set of rules, permits, and fees imposed on whomever might be doing the digging, typically an adjoining property owner (for, for example a new driveway) or utility companies, or the city itself (see example photo at right). 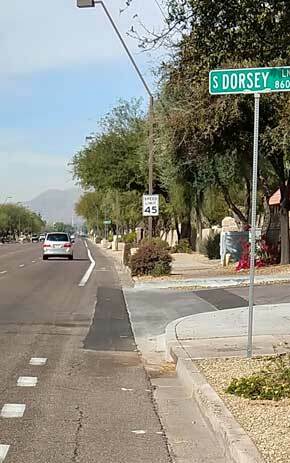 Thanks to the City of Tempe Streets Dept for contacting me/us about this project. A one mile section of Mill Avenue, from Broadway Road to Southern Avenue, is set to be resurfaced (they call this a “Pavement Preservation”) soon, I think Summer/Fall 2017. This section has edge lines enclosing a small shoulder. 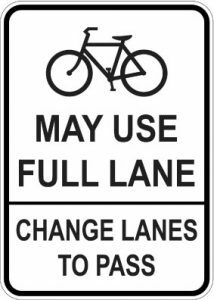 (“fake bike lane”). 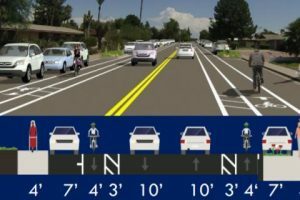 Edge lines generally should not be used on urban arterial roads in this configuration; and especially when they look like bike lanes, and thus are easily confused with bike lanes. The picture of the grate, in the shoulder should be self-explanatory.